Northern California will face a new flood crisis for Oroville Dam and Shasta Dam, as 10 days of up to 75 degree weather will spark an early spring snowmelt. 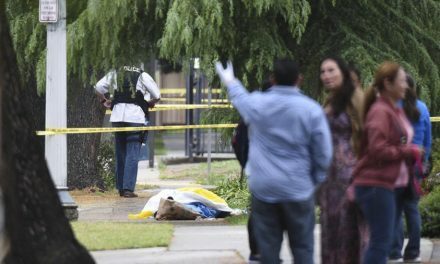 With the National Oceanic and Atmospheric Administration (NOAA) rating over 90 percent of California as experiencing an “Extreme Water Year,” the media are welcoming sunny skies that are expected to spike Northern California valley temperatures to 75 degrees or higher. Because hundreds of smaller dams in Northern California have been allowed to fill, water runoff for the Sacramento Valley from Sierra Nevada-fed rivers is running at 130 percent of average for this time of year; versus rivers flowing into the San Joaquin Valley, which are running at 190 percent of average runoff. But as temperatures rise to 65 degrees in mid-mountain elevations at the 6–8,000 foot levels that received 3 feet of snow in the last set of storms, 13-degree-above-average temperatures are about to trigger an early spring snowmelt, according to Paul Preston of Agenda 21 Radio News, who has been broadcasting continuously from Oroville Dam during the last month. The Feather River below Oroville Dam that is holding back up to 3.5 million acre feet of water is currently running at 196 percent of average for this time of year. The Sacramento River, below the much bigger Shasta Dam, which holds back up to 4.5 million acre feet of water, is running at 156 percent of average. 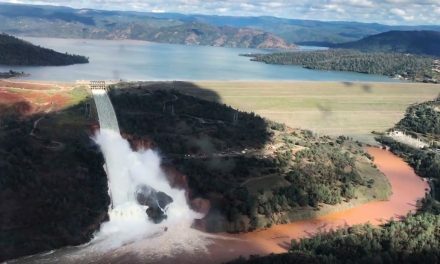 Almost completely ignored during the crisis mass evacuations in reaction to the potential failure of Oroville Dam, the water levels rose to within 11 feet of Shasta Dam’s 602-foot-high emergency spillway, despite running Shasta’s lower water release gates at full-blast since January 16. U.S. Bureau of Reclamation engineers were forced to open the upper flood gates for 15 minutes on February 23 for the first time in two decades. With the sun coming out on Saturday afternoon, the water level at Shasta’s Dam had fallen by 3.99 feet. 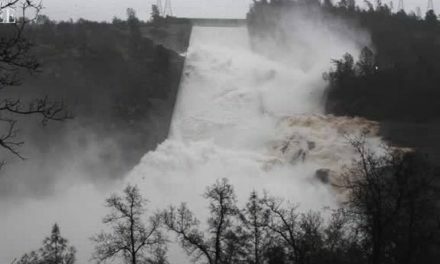 Breitbart News reported that to prevent Oroville Dam from massively pouring over its emergency spillway and flooding over 1 million people in the Sacramento Valley, the 9 smaller supporting dams on the Feather River were allowed to fill up. During the same period, engineers allowed the 5 smaller dams that support Shasta Dam to fill up as well. But Shasta Dam was originally designed to be 804 feet high and hold back 13.9 million acre feet of water, because it blocked the water flows from the Pit, McCloud, and Sacramento rivers. Built during by the federal government during World War II for the duel purpose of providing flood control and electrical generation to California aviation factories, wartime material shortages prevented adding the dam’s top 200 feet. Fully aware that Shasta Dam is not tall enough to handle the type of 100-year flood that California may currently be facing, the U.S. Bureau of Reclamation has proposed $1.1 billion to raise the height of Shasta Dam by 18.5 feet to increase water storage by 14 percent. But the Obama administration killed the project in 2014 by filing a 349-page report claiming expansion was a threat to salmon under the U. S. Endangered Species Act. Breitbart News reported that despite Gov. 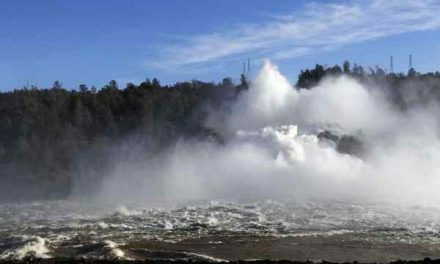 Jerry Brown campaigning for the $7.5 billion Proposition 1 Water Bond to provide new dams and flood control in 2014, he moved in April 2016 to redirect $250 million to re-wild the Klamath River by tearing down 4 hydro-electric dams. 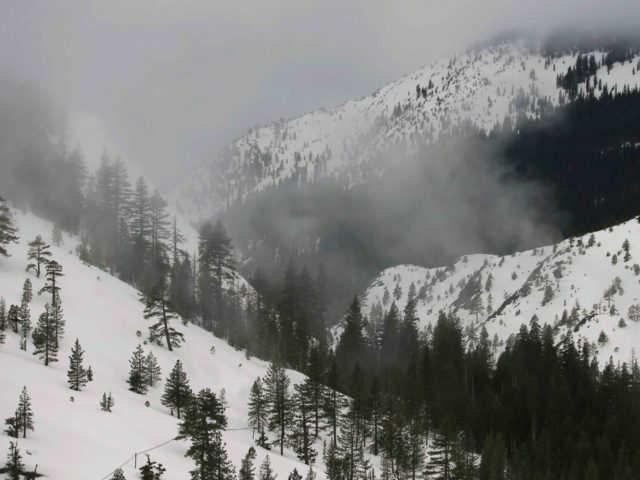 But facing political blow-back from having ordered the evacuation of 188,000 people during the near-collapse of Oroville Dam, and fearing an early spring snowmelt, Gov. Brown on February 24 asked the Democrat-controlled California Legislature to spend $50 million in existing general fund money, plus $387 million from the Proposition 1 fund, on emergency flood control efforts, according to the Sacramento Bee.